Please note my blog is intended to be the 'dynamic' update content partner to my 'static' core content pages on my website. This particular post relates to my http://www.linuxium.com.au/how-tos/runningubuntuontheintelcomputestick page where I've created some Ubuntu ISOs whose purpose is to better support Intel Atom based devices. As Canonical just released Ubuntu 16.04.2 with the rolling Hardware Enablement (HWE) kernels which aim to provide support for the latest hardware I've decided to provide a single kernel which is effectively a HWE 'edge' kernel specifically patched for Intel Atom SoCs in my ISOs to simplify kernel management and create a forward path for future migration to mainline kernels. My kernel is based on Canonical's next 'zesty' kernel which is rebased to v4.10 and also available in 'xenial' as hwe-edge. Whilst v4.10 is the latest mainline kernel to be released the merge window for v4.11 now includes the revised HDMI LPE Audio Support patch set together with the AXP288 power supply patch set for Intel Atom SoCs. Because v4.11 will be released in a couple of months with the patches being included in Ubuntu hopefully by 17.10 I've added these latest patches from the merge window to my kernel. Besides the HDMI LPE patches from Pierre-Louis Bossart, Jerome Anand & Takashi Iwai and Hans de Goede's AXP288 patches I've also added Hans de Goede's PWM, I2C, CX2702X audio support, Silead touchscreen support and ASUS tablet function key support patches. Also included is Mika Kuoppalad's new anti-freeze patch, Pierre-Louis Bossart's PMC Platform Clock and Codecs patches, Ville Syrjälä atomic update fix, Bastien Nocera's wifi patch, Laszlo-Fiat's bluetooth patch, Jonas Aaberg's bluetooth patch for the ASUS 100HA together with my bluetooth support which is based on a script from Larry Finger. The kernel source is available on my github. At this stage I'm providing ten ISOs: 16.04.2 releases of Ubuntu, Lubuntu, Xubuntu, Ubuntu MATE, Ubuntu GNOME and Kubuntu all with kernel Ubuntu-lts-4.10.0-10.12~16.04.2 together with Ubuntu 17.04 pseudo Beta 1 and 17.04 Beta 1 releases of Lubuntu, Xubuntu and Ubuntu Budgie all with kernel Ubuntu-4.10.0-10.12. Technically the two kernels are the same with the 'xenial' LTS kernel being a backport of the 'zesty' kernel. Note that the Ubuntu 17.04 Beta 1 is a pseudo release because there is no official Beta 1 release so I have used the daily release provided the same day the official Beta 1 flavours were released. I've also included Ubuntu Budgie as it is now an official Ubuntu flavour and I thought there may be some interest. Further flavours will be added later although I am no longer going to provided updated 16.10 releases due to resource constraints. I am also providing the corresponding kernel update scripts and I will maintain the kernels with security patches and/or Intel Atom SoC added functionality/improvements. To try an ISO download it from the link below (in red) and write it to a USB using either 'Rufus' in Windows or 'dd' in Linux. Ubuntu comes with everything. All the essential applications, like an office suite, browsers, email and media apps come pre-installed and thousands more games and applications are available in the Ubuntu Software Centre. Lubuntu is a fast, energy saving and lightweight variant of Ubuntu using LXDE. It is popular with PC and laptop users running on low-spec hardware. Xubuntu is an elegant and easy to use operating system. Xubuntu comes with Xfce, which is a stable, light and configurable desktop environment. Ubuntu MATE expresses the simplicity of a classic desktop environment. MATE is the continuation of the GNOME 2 desktop which was Ubuntu's default desktop. Ubuntu GNOME uses GNOME Shell along with a plethora of applications from the GNOME Desktop Environment. Kubuntu offers the KDE Plasma Workspace experience, a good-looking system for home and office use. Ubuntu Budgie is stable and easy to use that integrates the Budgie Desktop environment into Ubuntu. Whether you are using it on the old computer, or powerful workstation, Ubuntu Budgie is adaptable to any device, keeping them fast and usable. If freezing persists follow Len Brown suggestion of adding "intel_idle.max_cstate=2" as a kernel boot parameter which enables Core-C6 but disables module/package-C6. Open a terminal session and enter the following command (on a single line) 'sudo sed -i 's/\(GRUB_CMDLINE_LINUX=\)""/\1"intel_idle.max_cstate=2"/' /etc/default/grub'. To implement the change enter 'sudo update-grub' and then reboot the system by entering 'sudo reboot'. The above change only needs to be made once, typically following installation to eMMC storage. Prior to embarking on an encrypted LVM installation you should first open a terminal session and turn off swapping using the command 'sudo swapoff -a'. If there is no wifi after booting devices with a Broadcom chip then reload the driver: in a terminal window enter 'sudo modprobe -r brcmfmac' followed by 'sudo modprobe brcmfmac'. Occasionally on some devices bluetooth doesn't initially load so it is necessary to restart the service: for Broadcom chip devices enter 'sudo systemctl stop brcmbt.service' followed by 'sudo systemctl start brcmbt.service' and for Realtek chip devices enter 'sudo systemctl stop rtl8723bsbt.service' followed by 'sudo systemctl start rtl8723bsbt.service'. Some devices still do not reboot (or warm restart) correctly which can result in a purple screen or lack of wifi and/or bluetooth on reboot. In these circumstances cycle the power and boot the device from cold. Unfortunately as I don't have a tablet I cannot advise on the screen rotation issues however others have commented in previous posts with their solutions which I'd recommend reading. WIP includes improving backlight support for some devices and the ES8316 driver which is currently under development. Kernel update scripts are provided for updating the kernel and require my ISOs to be installed as a pre-requisite otherwise you will be missing the 'userland' files required for audio, wifi and bluetooth. To upgrade the existing installed kernel to the later version provided by the script first download the script and after making it executable (enter 'chmod 755 ~/Downloads/<script>') install it as 'root' (by entering 'sudo ~/Downloads/<script>'). Once the script has finished executing the device will need to be rebooted to use the updated (patched) kernel. Don't forget when making a comment to include the name/model of your device and if reporting a technical issue please include a copy of the output from 'dmesg' by sharing the log using 'pastebinit' or similar. Hello, I've installed on my asus x205ta ubuntu 16.04.2. Every things working fine eccept suspend. The mode doesn't apper in shutdown menu. I tried to suspend with terminal comand and It work. But when i resume I'm not able to use touchpand and wireless is disabled. There is any script may help me to fix this little thing? Audio work very well but when I insert jack the earphones wont work. Thanks in advice for your answer. At this stage the issues with the headphone jack appears to be related to hardware design which means a solution might not be forthcoming any time soon. Hello hurior, i also have the chuwi 15.6 and i'm desesperately trying to install any ubuntu variant on my lapbook, i see you do have problem with that device but you still can install and use linux ? How did you do please tell me. I tried avery f*cking way i know but i'm a windows user, linux is like chinese for me. I'm learning, slowly but still. I'm thinking about donation and sending review if possible, english is not my native language. Hi Valentine, how can I help you? If you want to install Linux in our Chuwi, you have to download the iso of this post. You have to "burnit" on a bootable USB. Plug in the USB, and enterto the BIOS of the computer. There, change the boot order, put first the USB. Enter to the Ubuntu Live session from the USB and click on install. Follow the instructions and you'll have a good Ubuntu instalation. I hope this explanation help you! As @hurior mentions the Chuwi Lapbook 15.6 reqires the ES8316 driver for audio which is currently under development. @Linuxium, is there anywhere to download the ES8316? Like an experimental driver or is nothing available? Thanks! Any luck? It's critical issue for me too. "Takashi Iwai's sound updates is the latest pull request worth mentioning on Phoronix as part of the two-week merge window for Linux 4.13. There are some improvements to core ALSA core code, but for Phoronix readers likely what is of most interest comes down to the new/improved hardware support. New sound driver coverage for Linux 4.13 include Allwinner V3s SoCs, Ensonic ES8316 codec, greater Intel SST Atom support that is used by "cheap tablets" and 2-in-1- devices, Rockchip PDM controller support, STM32 I2S and S/PDIF controller support, and ZTE AUD96P22 codec support. There is also the previously talked about Realtek ALC215 / ALC285 / ALC289 support. Sound updates in Linux 4.13 also include additional fixes/improvements for Intel Skylake and Kabylake hardware." (still on Teclast X98 Plus A5C6) @Linuxium you are truly awesome. This Ubuntu 17.04 Beta 1 finally boots to Live Mode, and installing went through like a charm, with working Light Dim, Touch, BT, Wifi, Sound (all 3 sources,speakers tested) and a battery bar! On first installed start, it seems the percentage does not update, but i will recheck that once my Tablet charged up (it was on 17% when i booted into the installed Version). Thank you for all the Effort you put into this. Will update my comment asap. this kills the service and after a reboot for some ppl it worked dynamic, but for me it didnt. Battery 0: Discharging, 76%, discharging at zero rate - will never fully discharge. Unfortunatelly, the cid changer (the reason i need ubuntu on the tablet) doesnt work on any Linuxium. (or the new samsung sd cards do not allow it anymore, will try that on a "normal" ubuntu x64 version in live mode). Maybe the cid changer software needs to be properly ported to v4.10 at least? So it is not the fault of any Linux distro. Display: display brightness does not work, but this is the first time that I have tried it, I did not try in earlier releases. Audio: Built-in audio seems still does not work. sound settings still says it's a bytcr-rt5640 device. wifi: the wifi symbol is gone from the status bar until wifi is connected. the symbol we start out with now is the "up-down arrows", ie the basic networking symbol. dmesg is at : http://paste.ubuntu.com/24092409 . This is an Acer Switch 10, model is SW3-013 , NT.MX1AA.007. Budgie opens at 90 degrees. If I rotate the laptop, the screen rotates, but is still 90 degrees off. WRT: on ubuntu beta ansd lububtu beta: Display: display brightness does not work, but this is the first time that I have tried it, I did not try in earlier releases. The control bar appears and operates, but the actual brightness does not change. battery: system says battery is low, but it is not low, it's at %82. System correctly shows that it is charging, after I plug in power. wifi: works. menu works better than unity? shows: "More Networks", which I think was missing from Ubuntu Unity desktop this time. I will recheck unity. bluetooth: "no bluetooth adapters detected". but this machine has one. Ubuntu unity found it on earlier version. I will recheck unity. wifi: "more networks" is shown this time, I don't know what happened before. Battery warning: I got the similar low battery warning, but the battery is not low. Charging indicator works. bluetooth: I can't get stereo audio out of the bluetooth, just the right hand channel. This is through a Logitech FE adapter to my stereo. The adapter is known to work well with my other android and linux devices. I restarted and tried the bluetooth again, this time it outputs to both left and right channel. I did nothing different this time. wifi again shows "more networks", as it should. So from the dmesg you could try downloading BCM4324B3.hcd from https://launchpad.net/asust100-ubuntu/+milestone/bluetooth-t100ta and copying it to /lib/firmware/brcm to see if it makes any difference. Humm... just installed the new ISO 17.04 but my Silead touch isn't working. Your dmesg shows a different kernel to those included in the ISOs above so I suggest downloading one of the ISOs from the links above and trying again as only this latest version includes the Silead patch. Sorry! I used the old iso version. Thanks for the attention. I really like your work. What was the outcome of using the Windows firmware as per the reply from @onitake on their issues log (#26)? What's your source for up-to-date info about the hwe-16.04-edge kernel? The current version in the xenial repo was last updated in December, is based on 4.8 and actually older than the hwe-16.04 kernel. I'd be interested to read any more recent information I'd be grateful - I'd like my kernel to be as close to official+patches as possible. Secondly I build my own image based on the netboot ISO - if I don't need Bluetooth, audio or (non-Intel) wifi, can you see any problem with installing your kernel manually? Are there any additional steps you'd recommend I take? iwlwifi works fine with stock kernel and firmware. Canonical. Note it has now moved to Ubuntu-lts-4.10.0-11.13~16.04.1 on their git but is at 4.10.0-9.11~16.04.2 in their ppa. If you don't need the userland audio/wifi/bt files then there should be no issue other than a noisy dmesg. Thanks for these new isos. Tested Ubuntu 17.04 pseudo Beta 1 in my 3 chuwi tablets, hi8, vx8 3g 32G, v89. Boots fine in all, wifi, BT, sound working in all, resolution and opengl working also. power button working (all) sound rocket buttons not working (none of them). Only 1 battery detected and working ok. Bright lcd not adjustble (3 models), suspend and hibernate not working. In my vx8 3g the modem is detected (fibocom usb) but not working. GPS (broadcom) not detected. Silead touchscreen detected all models but not working in any of them (same error -11) maybe firmware lacking. USB OTG and charging simultaneously not working (works in windows). BT is not working in my chuwi hi8. Also I've tested a silead firmware for my hi8 tablet from onitake but it does not work at all. Without a 'dmesg' I've nothing to go on unless you want to buy me a Chuwi Hi8 tablet? Sure, I'll pastebin a Hi8 dmesg ASAP. Also tested in another Chuwi, this time a V89 64G, and in this case silead is loaded, although throwing a error -11 again. I also have a Chuwi Hi8 and just installed the Ubuntu 17.04 beta. I also get the "error -11"
From what I've read touch worked with kernel 4.8, however I couldn't find a link to one of your isos with this kernel to test..
Should I upload anything else? Is there somesthing I can test? I found that in your past and present images of the 17.04 Versions the calibration via xinput_calibrator have no effect. In your 16.04 Versions it works like a charm! If I do the changes in /etc/X11/xorg.conf.d/99-calibration.conf or /usr/share/X11/... it don't have an effect to. But, in 16.04 Versions it works just fine. Can i do something to clarify the problem for us Silead touch boys and girls? * three buttons, so I can paste with button #2!! I'm trying to compile a testing kernel for my project with a few of the kernel patches used in the Linuxium kernel. I would like to try HDMI, I2C and any patch related to the Broadcom SDIO wifi on the Z83 Mini PC. Are the kernel patches used in Linuxium available somewhere for download? I would love to help but i'm a novice in "linuxing", all i can do is encouraging you to do your best and also thank you. With your help, i hope being able to use ubuntu on my chuwi 15'6 one day... who knows ? I like how is going better this Linuxium!! W: [pulseaudio] pid.c: Stale PID file, overwriting. E: [pulseaudio] module-alsa-card.c: Failed to find a working profile. E: [pulseaudio] module.c: Failed to load module "module-alsa-card" (argument: "device_id="1" name="platform-cht-cx2072x" card_name="alsa_card.platform-cht-cx2072x" namereg_fail=false tsched=yes fixed_latency_range=no ignore_dB=no deferred_volume=yes use_ucm=yes card_properties="module-udev-detect.discovered=1""): initialization failed. Is there a Lubuntu 16.04 ISO? I'd rather use not use a beta version, but would like to run Lubuntu on my STCK1A8LFC. I've now posted Lubuntu 16.04.2 above. None of above links working. Please help. They have been superseded. Either respin a 16.04 LTS or 17.04 desktop 64-bit ISO and upgrade the kernel to the latest version and install my RTL8723BS wifi package as part of the respin using my 'isorespin.sh' script (see latest posts). Thanks for your reply sir. Currently I don't have a Linux machine and having very basic knowledge of Linux, perhaps I've no option available right now. However I can do some command line activities, but couldn't get the process of respining. Download and install Oracle's VirtualBox on Windows then create a Linux VM from a standard Ubuntu 64-bit desktop ISO and install to a VDI of fixed size say 20GB. Run the new Ubuntu VM and install 'Oracle VM VirtualBox Extension Pack' and you will be able to use my script 'isorespin.sh' to both respin an Ubuntu ISO and write it to a USB using 'dd'. Getting back with results in few days. Wifi seems to randomly drop and not reconnect until reboot, any resolution/work around for that? its seems like this box is using AP6330 wifi module. Mar 4 13:06:31 BoxName NetworkManager: [1488650791.4749] dhcp6 (wlan0): state changed unknown -> bound, event ID="a2:80:65:1a|1488595832"
Here is log from another freeze. Mar 4 17:32:34 BoxName NetworkManager: [1488666754.9014] dhcp6 (wlan0): state changed unknown -> bound, event ID="a2:80:65:1a|1488595832"
Is that with or without adding "intel_idle.max_cstate=2" as a kernel boot parameter? I've tested and found that "intel_idle.max_cstate=2" seems to be necessary on this device. When booting from USB edit GRUB first before actually booting the ISO with the 'Try' option. Then once installed update GRUB defaults to include it as well. I did how ever edit the file manually and enter the parameter. I do want to mention that the box freezes only when chrome is running, not otherwise, despite entering the parameter the box still freezes. If this prevents Chrome freezing then it can be added to '/etc/rc.local' as per @Kurtz posting below. I tried the Ubuntu 17.04 pseudo Beta 1 live key. Suspend worked here. So I re-installed that on my Asus T102HA. dmesg output here : https://framabin.org/?c9ac0190e54fc683#nvlzTiCvnRHsZqA6ilpwjN7pkclUq28nn0QOAGF0qV0= ; valid for one week. - screen backlight control via the "Display" panel of the "System parameters" app. Im more doubtful of the Bluetooth connection to my cell phone, which keeps dropping the Internet connexion (but that might be a local problem). - touchscreen and stylus (a couple of "xinput ..." command lines in a script ; again a more permanent fix would be interesting). - Inconstant restart after suspend (via lid, see below). I had to add "intel_idle.max_cstate=2" to grub.conf. - maybe Bluetooth (see above). - Suspending via closing the keyboard over the screen : usually works, bu doies not restard after a shutdown provoked by a false "low battery" alert. - function keys (Fn+F5-F6 for screen backlight, Fn+f10-F11-F12 for sound conbtrol). - No "Suspend" or "Hibernate" items in the system menu (they appear when running the live key). - "pm-suspend" and "pm-hibernate" command line. Thanks for a really good nice work with it!! there is no need to remove module when booting from USB, then the sound is working out of the box. Mic is also working now. I've tried the skype test call thing and that works just fine. Battery indicator is not working properly, it doesn't move. I can't get suspend to work at all, as in pm-suspend(and hybrid) and the only way to wake up to power off. Same goes for when you close the lid of course. I don't know if this has to do with the system haning or not. I got hangs when screen has blanked as in turned off. If I set it to not I don't get hangs more need to be investigated. First, thank you for all of your hard work! I just downloaded and installed the Budgie distro on my Compute Stick with an Atom Z3735F. Everything seems to be working great except for Flash. My goal is to use this as a media center, mostly to stream video. Flash is installed, but Chromium says it's not and I get errors with Chrome. I've tried a bunch of stuff - wondering if it's a security or permissions issue? Further, when navigating to the Flash download page in Chromium, none of the assets load - CSS, JS, images, etc. Very strange. I have a laptop with the same processor and I had issues with playing YouTube videos. The video "plays" but it's like it was fast-forwarding the video with no sound. I tried to install Chromiumium to see if it was a Firefox problem but with the exact same result. I also installed Ubuntu-restricted-extras to see if it was a flash problem but once again with the same result. This was tested from a live-usb without installation on Ubuntu Mate 16.04.2 Linuxium iso . I actually managed to fix the problem already. It turns out there's two options for the sound card. They were apparently both in use which effectively caused the irregular video playback. The solution was to turn the other one off in the sound settings. Tried different cmd line options, (e.g. nomodeset which i found in intel forum), nothing helps. It only boots with a silly hdmi-> vga brick. Did you have a tip for that? To test booting headless add 'systemd.unit=multi-user.target' to the end of the 'linux' line in '/boot/grub/grub.cfg'. To make this the default enter 'sudo systemctl set-default multi-user.target' and reboot. If you want to return to having graphical booting as the default enter 'sudo systemctl set-default graphical.target' and reboot. To see what the current default is enter 'sudo systemctl get-default'. Thanks for you effort and reply in your Last Post - much appreciated. as i already stated in last Post - latest Lubuntu 16.04 -> Still No Audio (HDMI Audio) on my Zotac ZBOX PI221 (Atom x5-Z8300). (installed Pulseaudio, only listening Dummy Output. Do you know what the audio chipsets for the Zotac ZBOX PI221 are? Actually I contacted Zotac twice about their devices when they were first released and both times they didn't bother replying. So they are not devices I proactively support. Whatever software that works on them is a consequence of development for devices from companies more willing to support community efforts. contacted them once (before i buyed this device) and got a reply one month later - but still i got one. Windows is listening the Audio as "Intel SST Audio Device (WDM)" doest that help or you need more ? Unfortunately it doesn't help and I can't seem to find the information on the web either. Was it the same when trying my latest Ubuntu 17.04 pseudo Beta 1 ISO? sad :( and yes i tryed all your ISOs so far - no sound. The PNP Identificatio is "ACPI\808622A8\1"
Maybe ask Zotac what the audio chipset is? Installed this latest Lubuntu 16.04.2 and Lubuntu 17.04 beta 1 on my TreckStor Wintron 8.0 Tablet. I start with Lubuntu 17.04 Beta 1, install does not succeed because it does not find files from CD (I use USB Flash Drive). Lubuntu 16.04.2 is better than previous 17.04 as the browser has no issue to load youtube,.. when audio output is configured properly, so for me this is the best option all of this year released ISO, so thank you again for all this grate work. It remain the same small issues. - screen brightness and touch rotation need fix ... as this are working with scripts, probably is an issue regarding ubuntu internals and need to be fixed in ubuntu and other desktops settings manager to work properly. Hi, which ISO did you use? Hi - been using the latest Linuxium ISOs on my Lenovo Miix 2 8 - ran into an issue with getting the i2c touchscreen/battery status to work. I think it might have to do with the Crystal Cove PMIC driver not reading the devices properly - the same issue also affect the suspend/resume mechanism. Any idea where to begin to troubleshoot this one? Thanks for the fine work. P.S: I have 2 of the devices, one still runs Windows 10 while the other is imaged for Ubuntu. I'll be more than happy to provide you with device manager information upon request to help troubleshoot this issue. Time for some full 3d acceleration and video acceleration. Installation of converted to command line from intels video driver util for 16.04. This is the script for chrome to enable full hardware acceleration. I was able to get my cherry trail to crash every time I opened youtube. I found a easy fix add the following to rc.local . The nuclear Cstate option since the grub command kept crashing. /dev/cpu_dma_latency “pmqos” interface. Are you saying that even after adding "intel_idle.max_cstate=2" as a kernel boot parameter your device kept crashing? If so, why not use "intel_idle.max_cstate=0"? After alot of researching it turns out to be a problem that the system ignores intel_idle.max_cstate=0 ,but it does not ignore the setting /dev/cpu_dma_latency. I have a cube I10 flagship. Thanks. This is an interesting issue and your solution may help @Bilal and everyone. Here are my grub options. Jason would you say your crash/freeze problems are completely resolved with above? I also have an cube iwork10 flagship/ultimate and I have installed Ubuntu GNOME 16.04.2 from this post. The problem is, I have very poor video acceleration - youtube can't even handle 144p! How did you enable full 3d acceleration on yours to begin with? Here is my dmesg output. Note that I have tested the boot options mentioned above. Also, I have no sound, though this is a secondary problem for now. Thanks for everything by the way, you've done great things already! I am running Ubuntu 14.04.5 LTS on Mele PCG02U with your 4.4.0-57.78 Xenial kernel with great success. Could you please continue providing updated Ubuntu 4.4 kernels? If that's not possible, please let me know which kernel sources you use for 4.4 LTS kernels, and I'll try to compile myself. Thanks in advance. i have chuwi hi12 latest batch intel Z-8350 so far no freezs on first run ubuntu 17. First, many thanks. You have done an amazing job and I think everyone is grateful for your effort (me included). T100HA (x5-Z8500), 4GB/64GB using your 17.04 beta ubuntu. - bluetooth starts but is inconsistent (connection up and down). Going to try the launchpad drivers this week. - no cameras (device(s) not recognized. Hard to figure what they even are. Will also try launchpad for this). - no function keys. Using 0-1 brightness setting via scripts published here. - hdmi connection really screwed up. Non mirrored I get ghosting of the mouse, and the tablet screen rotates back to 90 degrees clockwise. When I disconnect hdmi, tablet rotates back to normal but lost touch. I have a MPMAN CONVERTER8 and i've tested the 16.04.2 Ubuntu image and the 17.04 Budgie image but the display was really inconsistend. Everything is working fine with the Ubuntu image except for the battery indication and the touchpad. [ 2219.799645] gslx680 i2c-MSSL1680:00: gsl_ts_reset_chip: gsl_ts_write 1 fail! Maybe it's the firmware but i can't identify the exact model of the touchscreen, maybe someone have an idea ? I've been reported tha kernels to 4.8.17 works. Does someone where to download a linuxium isos with this kernel? I tried to compile the 4.8.17 kernel but the firmware that was provided by the manufacturer was not the good one. Does your tablet work under windows 10 ? If this is the case, could you send me your windows driver ? In a Mint 18.1 installation with kernel 4.11-rc5 I was able to get accelerated i915 graphics without nomodeset. The trick is to set "i915.fastboot=1" in the grub linux commandline! Screen rotation during boot works with "fbcon=rotate:1". Rotation only works in KDE when using the kscreen settings. With xrandr and xorg rotation options I always get a blank screen. Now I'm stuck with the touchscreen. It is not recognized at all. Aurélien Diot: Did you have any success with the touchscreen in the meantime? Where did you get the gslX68X driver? It might be possible to extract the firmware from it.. I tried to load the module with various options, but it doesn't help. Does anyone have an idea how to fix this? synoptx : Many thanks for the driver ! I managed to use the driver for the CONVERTER 9 in Windows 10, it seems to be the best working driver for now but have some minor glitches. I'll try yours in windows 10 and maybe i will extract the firmware if it's working better. did you manage to extract the firmware for the touchscreen? At first glance, I don't find it. I tried both kernel space drivers with kernel v4.11-rc8, but I get the same errors. I managed to extract the firmware based on the driver shipped by mpman. Maybe the x and y axis are inverted but i didn't test anything yet. Maybe you'll have to rename it depending on which driver you are using. I tried to extract a silead_ts.fw for the gslx680-acpi (https://github.com/onitake/gsl-firmware) but the file seems empty. Option "TransformationMatrix" "1 0 0 0 -1 1 0 0 1"
Now the only problem is the calibration, which I don't get optimized with xinput_calibrator. The touch area does not cover the whole screen and the further away from the center, the more the cursor drifts off. but the values I calculate don't match. Hi, I've tried the latest ISOs on my Acer Switch, SW5-014. I have no sound (on some previous releases it appeared as cherrytrailaudio in alsamixer). Have not tested it through HDMI however audio jack and built in speakers don't work. Suspend works, hibernate crashes it. Since Ubuntu 17, it also starts auto rotating, but it always offsets. I tried making a udev rule but couldn't get it to change the identity matrix for iio-sensor-proxy. If not for wifi, sound and battery status, this would be quite a useable laptop. tried the Ubuntu 17.04 pseudo Beta 1 excellent everything worked out of the box just had to rotate screen and use the script to rotate the touch screen. also tried the Ubuntu Budgie 17.04 Beta 1 excellent I realy like budgie touchscreen did not need to be rotated and just used the settings to rotate right the screen as this was shifted by 1/3 off the screen but when rotated right its fine. the only thing with Budgie when i enable accessibility settings i acnt get the on screen keyboard to display. I will have to play and try to work it out. tried the lasted 4.10.0-10.12~16.04.2 kernel on my 16.04 system (not from your ISOs). I'm struggling to get wifi/Bluetooth up and running. [ 5.838601] SSE version of gcm_enc/dec engaged. Found out that the .txt file was missing in the brcm/. I Googled one which I added and ouila! I noted that the MAC is written in the .txt, how do I read out the correct nvram info? Firstly, I just wanted to say thank you for all your hard work. It's fantastic to have Ubuntu running on my HP Pavillion x2 tablet/netbook. (iv) Trackpad not detected as trackpad, but is recognised as mouse. On the positive side, wifi works perfectly, and bluetooth works perfectly, including A2DP sound. I'm just over the moon to have linux running on this, so thank you for all your work. Hope the above is of some use to you. And, finally Xenial GNOME for my GPD WIN. Thank you very much :) I chose to run GNOME since it's the most touch-friendly desktop after Plasma Mobile (which is not for us anymore), despite it's more resource intensive. And also, I found the display brightness adjustment is working. Great! However, the built-in micro SD reader is not detected. I remember I saw some error messages in dmesg, but forgotten to capture them :/ will make a pastebin when I got back with my WIN. "Chipset" -> "South Bridge" -> "LPSS & SCC Configuration" -> "SCC SDIO Support"
I finally managed to install lubuntu 17.04b1 (from the others, those that booted, usually looped at "detecting filesystems" after install questions). and it stops at "(initramfs)"
Any tips on what to try for a workaround? Grub with no touch support is a pain for OS switching. Also, lack of suspend makes this worse, as I can't avoid restarts. - no more two audio cards (as I do not have HDMI output on my tablet) so audio start right away after install without any settings change. - power meter it show also a second batery, so probably this will be fixed later in the kernel and removed the incorrect one. I test another two issue with my TreckStor Wintron 8.0 tablet. - screen start out of sync on first reboot and maybe on consecutive ones. - same issue, does not "unclick" all the times, so with onscreen keyboard,... key remain pressed. I think both of those two issues are related to xorg, I will see if I can install the latest nightly build of it. Where is that 4.11rc1 kernel? Don't hesitate to give me feedback dude :) I'll be gratefull. I do not install it neither on my tablet EMMC but on external drive, so I can test it (with updates). It does not worth installing on EMMC, as I consider EMMC makes small PC "consumables", when it brakes you might trash the entire system. Because I prefer a maximum 8 inch tablet (and I don't find one with features as I want), I am thinking to add inside my one, an USB hub with two full USB ports and one port inside where I connect an Samsung SSD through a sata adapter (Samsung EVO 850 - as the electronic inside is so small) or even M.2 SSD, but on that one I have to add a 5V-3.3V power adpater... I will see as this job is complex because I am focused on mobility, not too much space inside my tablet, and I don't want to make my tablet larger. I've not verified the link or the external software so the comment has been removed as editing is not possible. I tested 4.11.0 rc2. No bluetooth, no hardwired headphone or speakers. It adds a Dummy Audio device, just makes left and right Test run but no sound. This is download script to get mainline tip kernel, then run update-grub to put it into grub.cfg menu. It doesn't hurt linuxium. Hi, thanks for all your work. I was wondering which image you recommend for the smoothest web browsing/video playback functionality? I am still using one of your original 14.04 images with the 3.16 kernel. Is that the most stable image or is the new 4.10 kernel going to be better? You can always try new releases and kernels using a LiveUSB and see how you like them. Most people choose the newest release as it offers more/latest functionality for their device but the choice is up to you. Hi everyone, I have an extrange issue on my Chuwi Lapbook 15.6. I have installed the last Ubuntu 16.04.2 with the kernel 4.10.0-10-linuxium and I'm working with Kubuntu. When I swich off the computer the led of charge keeps blinking, and it dranis the battery, like if it's suspendend. If I turn of the computer under Win10 (I have double start) the computer is fully off and the led it's off. If I write in a console "sudo init 0" to switch off, I have the same problem. First of all, I would like to thank you for doing all these great things. Thanks to you, I am running Ubuntu on my tablet/notebook without many problems. But like few other people, I have this problem with audio. My notebook/tablet is Prestigio Visconte S, its a Russian/Chinese product if not mistaken. As on my tablet I use LXDE for low memory usage, I just hope that in the feature also this desktop will fix this. Hello, can you also build ubuntu server isos? I'm trying to build a cluster of stick pcs and I want a lightweight distro as possible. Thanks! Linuxium is a great project! It's a shame that manufacturers failing again and again implementing drivers for Linux. I got an i.Onik W1051 10" tablet. It's working with a Cherry Trail Z8300. After Installing Ubuntu 16.04.02 with an ISO from your site, everything works well, except the touchscreen, but that doesn't matter, because I intend to use this tablet with the included keyboard. When I tried to boot a second time, I ran into the black screen problem. Adding i915.modeset=0 to grub options, it's booting well, but now I have no hardware acceleration in videos neither I am able to rotate the screen. Hope my dmesg output will help to solve this problem. Touchscreen seems to be MSSL 1680. AFAIK there is a problem with silead driver and newer kernels, in my case silead driver works up to 4.8 kernels in android-x86, so can anybody points to a iso with such kernel version or a procedure to downgrade? Is this patch already applied to the linuxium kernels? Ok, I tried several things. I'm confused. I just can't see a pattern. With quiet splash it boots sometimes fine, but mostly it doesn't. Sometimes it crashes after the grub menu timeout, the screen goes purple and then black with backlight on and stays like this. Sometimes it boots up to the login screen, but after login the screen is black. I don't know where to start, but I'm pretty sure it has something to do with the graphics driver. Ok, after a lot of testing and a number of reboots...here is what I found out so far. After a clean installation of Ubuntu 16.04.02, I installed the Intel Graphics Update Tool. I set 'grub_gfxmode=800x1280' (LCD's native resolution). In the monitors.xml I set 'rotation=right' for landscape view and copied the .xml from my home folder to /var/lib/ligthdm/.config/, so I got landscape view globally, also in the login screen. The boot process now succeeds in 9 out of 10 times. I did the mentioned changes, because I noticed, the screen gets black whenever a graphic setting is changed, e.g. the resolution or the orientation. Now it's changing the settings only once, when the login screen comes up and it's rotating the screen. So it's booting fine, mostly. BTW: SD card reader isn't working and the battery indicator stucks on its startup value, I mean it's not refreshed while using the tablet, only once after a reboot. The patch you refer to on 17 March 2017 at 22:04 is applied to both the latest mainline kernel and my patched kernel. The SD card reader doesn't work on Cherry Trail and I'm not aware of a working patch/fix unfortunately. Xubuntu Works nice on my HP Stream 7, some small Problems still there (Audio on the Headphone-Jack) - didn't test the Bluetooth-Part cause i don't own any Bluetooth-Devices! is your Touchscrren working? I've tested several images but with all later 16.10 (MATE) my touchscreen is unusable. Yes, it works fine, except no right-klick, i still try to figure it out. First I grub2 loaded your 17.04 beta 1 iso file, it booted then froze, so I added the intel_idle.max_cstate=2 and it ran for the install. I have not added the cstate line to the installed version, no freeze. Wifi worked during install and in the installed version, on mmc. Bluetooth pairs, but the menu bluetooth statuses disagree with the dialog box(no connection,but paired,and has address) and the sound dialog box(set volume,test=nothing,no device shown for Output). Hardwired headphones do not work. Mute on menu bar will not turn off. Walmart 128G sdcard which worked for install when mounted in a usb reader, gives the error -110 when in microsd slot. That shows in the dmesg pastebin. Brightness up and down works, any action brightens. I set Battery to show percentage, will check that in a few minutes because it wasn't updating for someone. Hey! I am running your latest 16.04.2 on a Beelink Z83-II device. Wifi works, but no sound output via the audio jack. Ubuntu sound settings shows "Analog Output" and "HDMI / DisplayPort" Audio device, but changing here makes no difference. Cannot test the HDMI audio right now. Any ideas how to get reliable audio output from this Z83-II on Ubuntu Linux? At this stage I can only suggest 17.04 Beta 1 from above or a respin of Beta 2 using my isorespin.sh script (see latest post) and running my linuxium-install-UCM-files.sh script to see if this provides audio. 1) Suspend does not work - This is my primary concern as I'm sure it is with others. Without suspend we are missing a vital feature. 2) Audio does not work - This is not nearly as critical as getting suspend to work, but is important for me since I record audio frequently. 3) Touch screen does not work - Helpful but not essential or as important as audio. 1) Screen rotation - Not a real bother once Ubuntu is installed and display settings are set to rotate 90 degrees clockwise. 2) Could be faster - I'm sure this little tablet could be more efficient, but its usable as is. Wifi, bluetooth and virtually everything else is functioning properly, an amazing feat considering how poorly and difficult a standard installation of 16.04 would be. If there is any information that I can extract from my Ubuntu installation that would help resolve these problems please let me know. Here is the trick i use not to make problem with exist windows loader. 1. I shrink c drive and make space for 1.5GB. And i can see ubuntu EFI boot option. 2GB Ram, Atom Z3735f, 32GB mmc with 32GB SD cards. I have a STK1A8LFC stick with original Ubuntu 14.04 LTS on it. Wifi does not work with my WPA2/AES lan setup so I thought I'll give your latest 16.04 "MATE" a try. Got the iso and dd'd it to a USB drive. I can select the USB stick using the uefi boot menu (F10). Grub screen shows and I select "Try Ubuntu MATE without installing". I select that. Then for a split second, I see a message like "efi: requested map not found", then the MATE logo screen shows up and soon after ... I am back to my existing 14.04 LTS installation. What am I missing here, since everybody else seems to have no problem booting from usb? Any hints are greatly appreciated. have you disabled TXE (trusted engine) from BIOS ? Yes, Secure Boot is disabled. Internal UEFI Shell is disabled too. These are the defaults for this BIOS (the STK1A8LFC shipped with Ubuntu 14.04 LTS). I am still totally puzzled about what is going on here. Update ... the boot process starts from the USB flash drive as described in my original post. The system also boots the kernel from the USB flash drive! But then something happenes and the system ends up mounting the internal default partition. Who can help?? Ubuntu MATE is rather 'heavy' for the under-spec'd STK1A8LFC device so performance won't be great even if you get it running. I'd suggest trying my latest post http://linuxiumcomau.blogspot.com.au/2017/03/running-ubuntu-with-upstream-kernel-on.html and respinning a true Ubuntu MATE ISO with the update option (-u) to include the latest v4.11 kernel and seeing if that boots. If so you can then run the linuxium-install-rtl8723bs-binaries-for-4.11.0-rc4.sh script from the same post to install wifi. At this stage wifi is still flakey with the v4.11 kernel however a patch is coming upstream which will improve it. Hello, I am having exactly the same problem on the same device (STK1A8LFC). Tried both Lubuntu and Xubuntu ISOs; boot starts from USB, "efi: requested map not found" shows up, distro logo shows up, and I find myself in the Ubuntu 14.04 recovery. This is frustrating, since I could perform this installation (Lubuntu) just last week on another identical stick - the only difference is that one did not have stock Ubuntu on it. I would repartition the eMMC and remove all NVRAM entries and then try reinstalling from ISO. Hi, I installed 17.04 Alpha on Teclast X98 Pro and updated Ubuntu and kernel so now I should have the newest version but few things still don't work. Touchscreen is rotated 180 degrees and when I manually rotate screen it rotates also. Automatic rotation does not work, Bluetooth seem not working but I did not really tested that. Sound is crackling randomly it seems, I tried to look in alsamixer but there is huge amount of devices (like 3x more then my desktop) which I don't really know what they are for. I managed to fix Y axis of touchscreen in xinput matrix but X axis is still switched. There is no link to the 16.10 distro - I wished to try it to see if it recognises my micro sdcard reader. 16.04.2 does not but older 14.04.5 does. It was becoming too time and resource consuming to manage multiple ISOs so I decided to concentrate on 16.04.2 and the upcoming 17.04 releases. This has now changed and by using my latest script you can try the 16.10 ISO again however it will not solve your particular issue as described below. I've finally been able to track down the issue. You should be able to dynamically assign IRQ number on the device in ACPI Hardware-reduced mode, but on your Hannspree device there is an RTC device still using the legacy hardcoded IRQ8 which causes a flags mismatch error. This can only be fixed with a further patch to the kernel which I am currently looking at. The problem is with 16.10 - I installed it & it cannot recognise the sdcard reader. It will be nice though to test your own 16.10 distro, why did you remove it? It was becoming too time and resource consuming to manage multiple ISOs so I decided to concentrate on 16.04.2 and the upcoming 17.04 releases. This has now changed and by using my latest script you can try the 16.10 ISO again however it will not solve your particular issue as described above. Linuxium great work, thanks very much for these new isos. Installed your Ubuntu 16.04 in my MeeGo Pad T04 after burned the iso to a USB memory stick. Grub dual boot with Windows 10. Boots fine: wifi, sound, grafic. No idea about BT, i dont use it. Detect a battery but my system has no battery. The wifi is working (connect to the AP very soon) but is very very slow (in windows instead work fine). This is my problem. I need the wifi. The wifi card is detected by windows as Broadcom 4330 (02d0:4330). I noted in your Ubuntu release that the driver is brcmfmac. wlan0 IEEE 802.11 ESSID:"Piano Giorno"
I will stick to 14.04.5, it has everything working, including sdcard reader. Sticking with 14.04.5 is probably the best option right now as it will take time for the kernel to get patched with the fix you require. Analysed your respin iso patch. Scavenged the bootefi32 from the zip. copy it over the old one in the efi boot folder. upgraded he kernel to 4.11-RC4. To get everything working, I need to use Kernel 3.16 & the chestermill's packages. Another thing, even with 14.04 with Kernel 3.16, if I allow it to upgrade the DKMS, it will break BT, WiFi & audio so I have to rerun the deb Chestermill's packages. I have installed it on MeeGopad T02, seems ok except the sound. I ran stremio and there is no real sound on the hdmi output. Use 'isorespin.sh' from my latest post with an official ISO and then run the additional script for wifi and then after installing run the UCM script and reboot for headphone audio. In danger of being a bit off topic, I would like to know if you on small boxes with Ubuntu running on an mmcblk and this kernel will recommend to mount /var/log on a tmpfs? And is it recommended to mount more as tmpfs? I don't as you'd loose your logs after a crash. Finally, I got the SD card reader to working...with doing nothing. Maybe someone is able to tell me, why the SD card is detected and working fine, after I prompted in a terminal: "sudo cat /sys/kernel/debug/mmc2/ios"
I don't get it. But it would be great to know, because I would be able to boot from the SD card instead of an USB flash drive. I really just prompted the command mentioned before, and then the SD card is working. I tested this several times and rebooted several times, it's working everytime. Intriguing ... I'll have to remember to try this myself. First of all, thank you very, very much for your all hard work with Ubuntu and ICS. I really like KDE and wanted to install this ISO, but it doesn't give the option from the start and it boots into a terminal requesting me to log in (don't know what user/password to use) so I remember I tried the Ubuntu ISO at work (someone lend me a TV (long boring story) and the ICS wasn't working on it (nothing was displaying)) and it had worked there (LG TV). Got myself a new TV (needed one; decide to also get an LG (was a good price)) and this ISO boots fine (slow, as you have explained before). I connected to my router and had access to internet, and tried installing from GNOME, selected all software (followed their advise) and the installation started OK: recognized I have inserted in the ICS a 64GB SD card, partitioned it and started the process, but I noticed plenty of 'failed' messages. Because it was slow, I went to watch the news, fall asleep and when I woke up two hours later it seemed to have installed (the installation program had closed). This morning I found Ubuntu was not installed on the SD card and now there is no way I can get the installation program to start, neither from the desktop, nor from the bar to the left, and it also freezes (if I read and understood properly, the patch to prevent the freezing only works if the ISO is already installed). If you or anyone else could shade a light on this I'll be greatly, greatly grateful; I really want this to work. Have run all ISOs 16.04.2 except for Ubuntu Gnome, when I decided to take a closer look to the boot messages, as I was suspecting an SD car issue. Effectively, I manage to see that the SD card cannot be initialized. [ random.numbers] mmc1: Skipping voltage switch. I pressed F2 at boot, and verified that secure boot is disabled. Ubuntu-Gnome is telling me that the computer is running in UEFI mode (I remembered I asked Ubuntu ISO to install in UEFI mode). I tried the SD card on a Windows laptop. Windows sees it but windows browser does not shows it. Any idea on how to get around this issue will be greatly, greatly appreciated. There have been numerous issues in Linux on the STK1A32SC with SD cards (see some of my earlier posts). First you should establish that your SD card is recognized and working from the Live USB. Installing to SD card on the STK1A32SC is possible I seem to remember but you'll have to install GRUB manually as the installation will always try to install on eMMC. I finally understood that I had to wait for Kubuntu to get past the Login: message on its own. Then I tried installing and effectively it told me Grub failed installation. After that, I saw the SD card was showing up; I verified access with Dolphin and I can see the Kubuntu structure in it. And now all other ISOs can see it (a 32GB, 300MB/s Lexar). http://www.linuxium.com.au/how-tos/bootingubuntufromsdcardontheics), but it told me it couldn't find grub-efi-ia32-bin, so I cd .. (I didn't know where I was standing; I was at \home\kubuntu) and tried again with the same result. Should I add another repository than the ones Kubuntu adds itself? Should I change to another directory (it's been 10+ years I stopped fiddling with Linux)? If you can't find 'grub-efi-ia32-bin' is it because you are not connected to the internet? Otherwise you should check your '/etc/apt/sources.list' to make sure it is correct and perform an 'apt update' first. Either boot from the SD card using GRUB from a Live USB or boot from the Live USB and 'chroot' to install GRUB on the SD card. I was connected to the internet, but, then again I was probably doing something wrong (as I said before, it's been 10+ years I don't touch Linux and I'm really, really rusty). But I finally seem to have installed it. I came back looking for the kernel patch, as I finally managed to locate the SD mounting point and cded to it pretending to apply the patch but I noticed everything is superceded. Creating personalized Ubuntu, Mint and Debian ISOs for Intel Mini PCs? but there is no way I can make the ICS boot from the SD card (even doing F2, change OS to Windows, F10); it just doesn't show up. It only recognizes the live distro in the USB. Yes you boot from the USB live distro but only as far as getting the GRUB menu as then you need to use GRUB to boot from the actual SD card so that you can then install GRUB to the SD card. Use my latest 'linuxium-install-bootloader.sh' script as a guide to how to install GRUB once you've booted from the SD card. i really want to set it up with linux and i was searching the internet for a solution ,will nomodeset do any good? any thoughts or advice? I might not have understood this correctly so perhaps you can clarify: having installed Xubuntu it works with your monitor using the original HDMI to HDMI cable but when you try the supplied HDMI cable with your TV it doesn't work? must i wait for proper kernel support like 4.11? or its just an issue with the bios or vga? I'd try a v4.11-rc8 kernel or v4.11 when it comes out as you can download the binaries and perform a local upgrade of your installation rather than performing a re-install and see if this helps. Otherwise a BIOS upgrade to the latest supported by your device's manufacturer is the other option. Arnd Bergmann suggested me to try the linux-image-generic-hwe-16.04-edge and linux-image-lowlatecy-hwe-16.04-edge kernels (both of them are 4.10) but without luck. I have also noticed there were 3 other users here with the same problem: Roberto Pirrone, BobDodds, venport and they also get the errors for SD cards greater or equal to 64 GB. Mine is 128 GB. My name is Alexandru. I thought I was able to display my name by using the Google+ account, but it seems like the web page doesn't know about my account. I have also tested the 4.11.rc8 mainline kernel. The result was the same. All the three kernels that I tested triggered a crash in a i2c module. So far, the kernel perpared by Ian Morrison is the most stable. As mentioned above there have been numerous issues in Linux on Cherry Trail devices with SD cards (see some of my earlier posts). I have found issues with any Sandisk card but have had success with Samsung cards and the later kernels. Who is the manufacturer of your SD card? Hi, thank you for your time. The manufacturer is Samsung and the model is Evo Plus. It says it supports UHS-I 1 and class 10 of speed http://www.samsung.com/uk/memory-storage/evo-plus-microsd-card-with-sd-adapter/MB-MC128DAEU/ . But what puzzles me is that if I unplug it and plug it back, it is recognised properly and it can be mounted. I thought maybe it could be solved by adjusting some udev rules. I've really no other solution than what you have found: namely unplug/plug to recognize a previously inserted SD card and to avoid Sandisk SD cards at this time. I had hoped that Sandisk would have been concerned however this doesn't seem to be the case. where can i find your latest iso for 17.04 lubuntu? It has been superseded. Respin the 17.04 desktop 64-bit ISO using my 'isorespin.sh' script (see latest posts). I don't even own any linux box anymore. It's kind of hard to respin when not having a box to work with. Just trying to tinker with an Intel Stick. You can respin (using my latest v6.02.0 script) an ISO in a Linux VM on Windows (which is possible under Windows on the Intel Stick but it will be slow and you will need to use the '-w' option to specify a work directory on a USB or SD card). 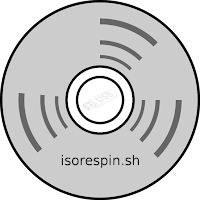 See my latest posts as you can download an official Kubuntu ISO and then respin it to use on your device.